Tag Archive | "fashion designers"
NBC announced that a new fashion show will be launched. The show features a reality competition for the next fashion designer. It attempts to discover a Fashion Star who will be given an opportunity to be America’s next designer brand. It will be produced by Lipstiz and Cutforth’s Magical Elves Production Company, by Jane Lipsitz and Dan Cutforth; and Electus, by Ben Silverman. They are also the producers of Project Runway Runway show—also a reality show which discovers new fashion talents. It will be hosted by Elle Macpherson, a former supermodel who have shown the fashion world her impeccable fashion sense in her 30 years experience in the industry. She’s the current host of Britain’s Next top model. It is going to be a Project Runway-like show. The difference is if Project Runway focuses on high end fashion, Fashion Star will also focus on casual apparels. That includes dresses, denims and accessories. Another twist of the show is that, viewers can also purchase the winning designs in the stores or online. The competition starts with 12 aspiring designers. They will be meeting several challenges weekly regarding both in fashion and business issues of the industry until one will become the “Fashion Star”. Judges includes fashion designers and buyers which will not just serve as judges but mentors as well. In response to the calamity which struck Japan, the Council of Fashion Designers of America (CFDA) launched an online boutique to benefit the victims of the disasters. The online auction is ongoing for a week now and more items are added into the collection. One of the items added in the auction is the two tickets to a Victoria’s Secret Fashion show, which includes a face to face meet-up with the famous model star Doutzen Kreos. Aside from that, the new roster include two tickets to the fall 2012 Marc Jacobs Fashion Show with a free handbag; the privilege to meet Gwen Stefani at a L.A.M.B. fashion show; and,a chance to meet Anna Dello Russo in a Vogue photoshoot, which will happen in Japan. CFDA has gathered their friends and designers for the online auction. They originally had 75 major donations before the auction started and now, the committee has added more to the entries. For CFDA, this charity buzz is more personal compared to their other charity fundraisings. That’s because they have close friends and colleagues which they have worked in the fashion industry that are also affected by the calamity. 100 % of the profits will go directly to the victims of Japan through Japan Earthquake Relief Fund. So far, the biggest sale in the online auction is the “week in Paradise”. The winner gets to stay at Dian Von Furstenberg’s Harbour Island beach house for a week. The sale went up to $16,000. Followed by the two front row tickets to the Rag and Bone’s show which was sold for $6,010. 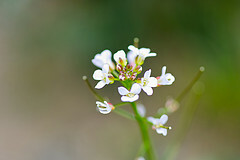 The auction will end on April 28, 2011. In response to the devastating effects of subsequent earthquakes and tsunami that have engulfed a city in Japan, the Council of Fashion Designers of America or CFDA launched an online auction wherein proceeds go to the victims of Japan. CFDA brought together different designers all over the globe to participate in the online auctions. They have included leading fashion brands and media. With the theme “Fashion and Friends for Japan”, CFDA will host the auction on charity buzz. The ongoing auction will end until April 28, 2011. CFDA is gathering friends and designers to participate in the event. Among of the solicitors are DKNY, Ralph Lauren, Vogue, Tory Burch and many others. The committee has already secured 75 donations from major supporters. Some of the highlights of the donations are Two tickets to Elton John’s Oscar party, tickets to Vera Wang fashion show, meeting the editor-in-chief of Vogue and many others. 100% of the proceeds of the “Fashion and Friends for Japan” will go to the Japan Society Earthquake Relief Fund. For CFDA, they have a very close bond with Japan since they have colleagues, friends and business partners in the country. Japan Society President, Motoatsu Sakurai was humbled and overwhelmed by the donations of CFDA. Designer Pierre Cardin alleged that fashion designers these days change styles so fast that makes it more difficult to create couture designs that will last for several years. He believes that this is partly due to releasing collections twice a year. The 88-year-old French fashion designer was attending a show co-sponsored by a well known department store in Tokyo when he said that the business is now much harder for fashion designers than during the time when he first started the industry about 60 years ago. In his interview, he said that there were still very few designers at the end of the war. Today, there are several designs in every country, around the world. Thus, it is impossible to create new designs ever year, but instead every six months. Nowadays, the fashion trends are getting crazier, more beautiful and fantastic on the eyes. However, designers are not creating fashion styles for tomorrow. He added that there is a lot of fashion today, but later on, in about four to five years, it’s gone. When Cardin launched his own label in 1950, he was informed that what he was doing was impossible. It was his belief in himself and the obsession that pushed him through. For him, his work is like an addiction, which made him able to do it for a very long time. 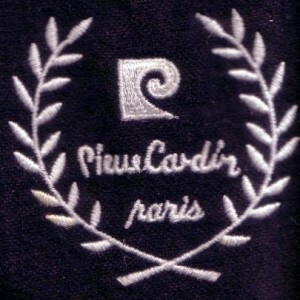 Pierre Cardin has become a popular name on several products around the world, ranging from fashion design clothing to alarm clocks. Cardin, a Western couturier was the first to turn to Japan as a high market in fashion during the late 1950s.